Award winning company Blinker Grips are exactly what they sound like. 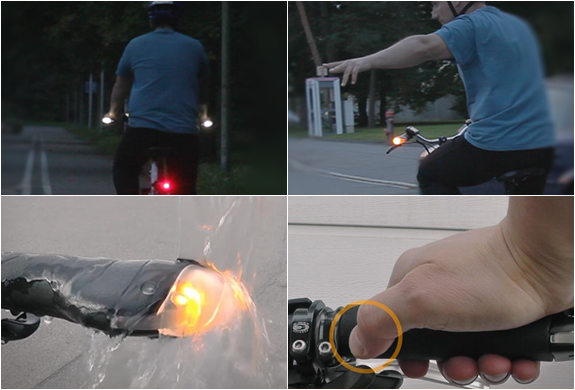 Innovative blinker grips for active road saftey. They feature integrated LED lights that are activated by pressing a button on the grip which will blink for 15 seconds as you turn a corner and automatically turn itself off. They can also be programmed to constantly stay on as well giving you extra visability when avoiding cars. Head on over to their page here to find out more information and purchase a set. Continue below for a few more additional shots of this super innovative product.